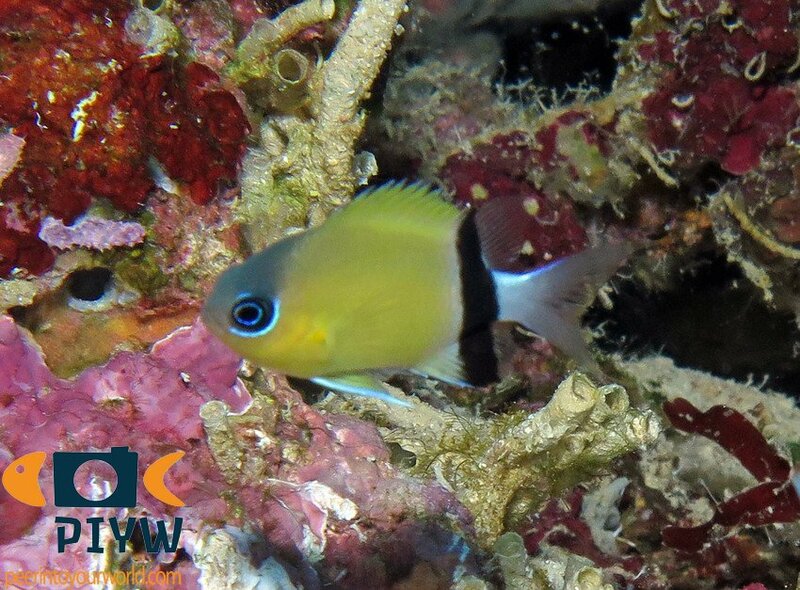 Head, body and fins have a yellowish tan. The tail and caudal fin are white. Prominent black bar at the rear of body. Western Pacific: Indonesia to Fiji, north to Ryukyu Islands, south to New Caledonia. 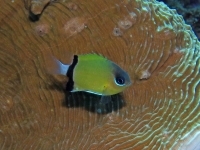 Inhabit coral-rich areas of clear lagoon and seaward reefs at a depth between 12 and 120 meters. 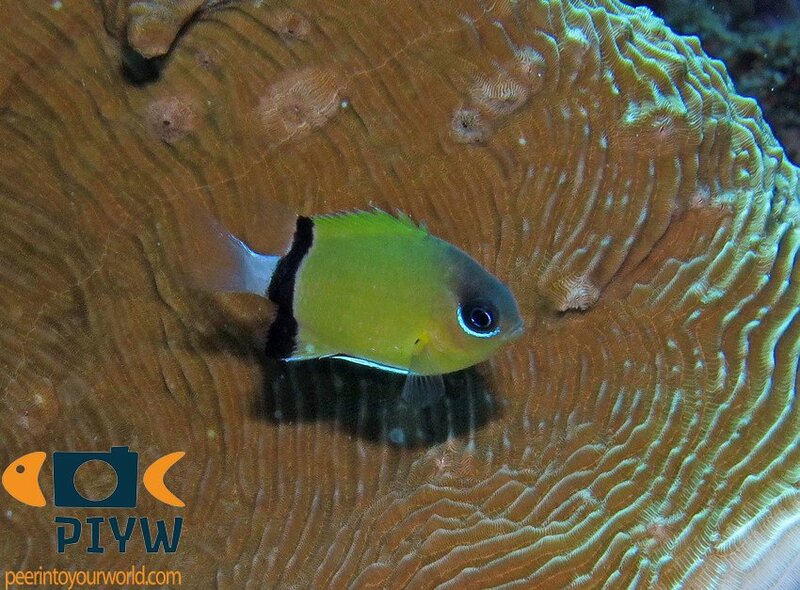 They occur singly or in small groups and remains close to thickly branching coral shelter. Males guard and aerate the eggs. Feeds on zooplankton, benthic weeds and algae.